An NJ Transit train in Newark Penn Station. No one infrastructure project has the potential to cripple our economy, disrupt our lives, lower real estate values and drive employers to seek alternative locations than the Gateway Project to expand and repair the Hudson River rail tunnels and replace the Portal North Bridge. The specter of failing to complete Gateway is frightening. It reminds me of Ted Koppel’s recent bestseller, “Lights Out,” about the devastating aftermath of a cyberattack on a United States, left vulnerable to such an attack by failure to invest in its electricity infrastructure. I think we all could agree that transportation infrastructure ranks next in line for essentiality. Why, then, haven’t our local, state and national leaders yet secured the funding, approvals and entitlements needed to get this project done, despite the wakeup call back in 2012 when Superstorm Sandy wreaked havoc on a single tunnel in an area responsible for 20 percent of the U.S. GDP? Projects of Gateway’s magnitude deserve top priority for resources. Hartsfield-Jackson Atlanta International Airport’s $6 billion expansion plan (ATL Next), Boston’s Central Artery/Tunnel Project (Big Dig) and London’s Crossrail Project (a new high-capacity rail link across London linking Heathrow Airport to the West End, Central London and Canary Wharf), have benefited from collaborative efforts and all are closer to completion than Gateway. Given the New York City metro area’s linkages to the national economy (10 percent GDP) and the global economy, a delay in this project will greatly diminish our region and the nation’s competitiveness. Think about the New York City firms serving clients throughout the U.S. and world. Workforce disruption results in lost productivity and revenues and leads to higher costs for customers. The most urgent part of Gateway for the Northeast is construction of a new Hudson River rail tunnel and rehabilitation of the Sandy-damaged North River Tunnel. The existing tunnel can carry 24 trains per hour in each direction (90 percent are operated by NJ Transit and 10 percent by Amtrak). New Jersey’s economy would get walloped if the tunnel went down. Over the past 25 years, the number of daily commuters from New Jersey to Manhattan has grown by almost 30 percent. NJ Transit ridership is up nearly 230 percent since 1990, with over 172,000 trips daily. Total income earned in Manhattan by New Jersey commuters equals at least $33 billion annually, which is about 82 percent higher than wages for New Jersey workers across all industries. If New Jersey workers cannot commute readily, they may switch to lower paying in-state jobs that could represent a loss in yearly earnings of $5 to $15 billion. These disruptions could compel commuters to move to other states, and property values may fall without access to reliable and speedy rail service. For Manhattan employers, access to a highly trained workforce is essential. Without good transportation, many employers would leave the region for other markets. What about the impact to our red-hot industrial market where, as of May, cargo was already 5.1 percent ahead of the same time last year, per the Port Authority of New York and New Jersey? New Jersey is the “supply chain” state with ready access to a huge consumer base, ports and air, road and rail infrastructure. Nearly half a million people are employed in more than 1 billion square feet of transportation, logistics and distribution facilities. Rail tunnel failure could force thousands to take cars and buses, gridlocking roads and crippling businesses. Many of the 21,000 Amtrak riders might take to the skies, further stressing airlines that carry passengers and cargo. That would have a ripple effect on air travel nationwide. More congestion would be especially bad for New Jersey: Our supply chain stakeholders rely heavily on trucks to ferry cargo into and out of the port, since our rail network is reserved for mostly long-haul trips out of state. Federal opposition to funding Gateway is not likely to change any time soon, given the politics of the fall elections, but there has been progress. Local funding for portions of Gateway has already been secured. 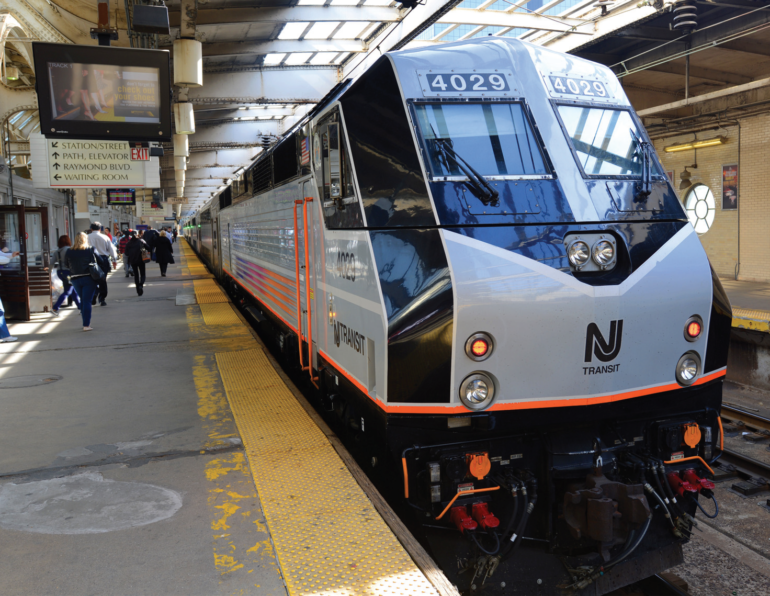 On June 29, NJ Transit submitted an updated financial plan to the Federal Transit Administration that includes New Jersey’s commitment of up to $600 million, funded through state-appropriation backed bonds, capital funding from the New Jersey Transportation Trust Fund and other sources. We hope the FTA will issue a Full Funding Grant Agreement shortly to facilitate the awarding of contracts. Early construction began last fall to replace the North Portal Bridge. Two already completed box tunnels beneath Hudson Yards on Manhattan’s West Side will connect Penn Station with the new cross-Hudson tunnel when it gets built. A draft Environmental Impact Statement for the Hudson River Tunnel was submitted to the FTA in February; it awaits a Record of Decision that will allow the project to proceed with property acquisitions, etc. It is my hope that cooler heads will prevail, especially at the federal level, to speed up the approvals, decisions for funding and authorization needed for Gateway to advance. Congress must reauthorize monies in the fiscal year 2019 budget for Gateway and other mega-infrastructure projects. 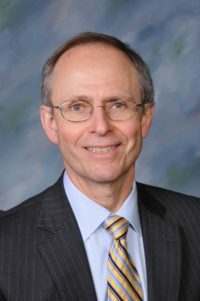 New Jersey and New York need to pursue legislative action to enable the Gateway Development Corp. to perform critical financing and development functions and Gateway partners should keep their options open for the allocation of project risk and partial financing through public-private partnerships. Congress must also modernize 60-year-old laws to reprioritize infrastructure financing mechanisms to reflect today’s society and conditions. Roads have a dedicated funding source (such as the gas tax) and automatic formula-driven (based on lane miles and population) appropriations, while each rail project, regardless of merit or size, must apply for a limited pool of federal capital improvement grant money. It’s long past time for a change.